Loesch called out the network for winning this award, as she felt, and rightfully so, that they did not merit it. Nothing was gained with this fiasco. Even Parkland survivor Kyle Kashuv was disgusted. Using our community’s pain for ratings, a week after 17 students and teachers were killed, gets an award? “Using our community’s pain for ratings, a week after 17 students and teachers were killed, gets an award? That town hall was a shameful display. Disgusting,” he tweeted. 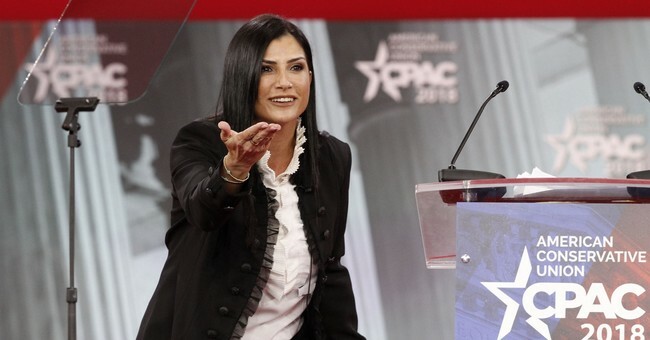 Loesch shot back at the network on social media wondering where is her “share” of the award since they probably wouldn’t have received it if she weren’t used as the punching bag for the night. “Curious — where is my share of the award? You needed a villain to abuse and I was the only one on the stage relating the facts later cited as the exact reasons why the sheriff you exalted was removed from his job. Let me know when I can expect an on-air invite for acknowledgment,” she wrote. The sheriff she’s referring to is Scott Israel, who, let’s say, had his world come crashing down soon after this town hall event. It was later reported that one of his deputies, assigned as the school resource officer, didn't confront shooter Nikolas Cruz, but did not go into the building. Oh, and how did CNN’s Jake Tapper, the host of this so-called town hall, react to Loesch’s pervasive attacks on social media? He simply unfollowed her on Twitter. Dude, c’mon man.